"Boot Top Crossing" is a soft, misty piece. 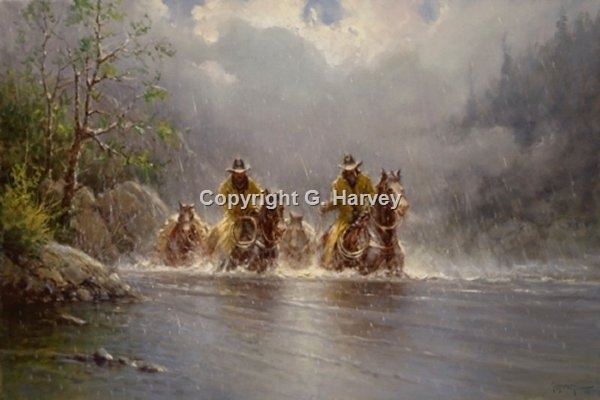 Two cowboys in slickers and their pack horses are crossing a mountain stream, swollen by melting snow and heavy spring rain. Although this is a subject that the artist has visited before, "Boot Top Crossing" is particularly beautiful and romantic.